Texas is the second largest U.S. state, behind Alaska, with an area of 268,820 square miles (696,200 km2). Texas is home to 10 climatic regions, 14 soil regions and 11 distinct ecological regions, and its vast cultural and economic diversity makes it difficult to categorize into just one cultural region of the United States. Texas was once its own independent republic before becoming annexed into the United States in 1845. Interstate 10 is the southernmost transcontinental highway in the American Interstate Highway System, stretching from the Pacific Ocean near Santa Monica, California to the Atlantic near Jacksonville, Florida. Interstate 10 stretches for 879 miles within Texas, making it the longest continuous untolled freeway under a single authority in North America. Interstate 20 is a major east-west highway that begins at a junction with Interstate 10 near Kent, then passes through the state, passing through the Dallas/Fort Worth area, before leaving the state and entering Louisiana. Interstate 20 is currently 636 miles long. Interstate 35 runs north-south through the central US, from the American-Mexican border in Laredo to the Great Lakes in Duluth, Minnesota. Interstate 40 travels from Wilmington, North Carolina, to Barstow, California. It passes through many major cities such as Raleigh, North Carolina, Nashville, Tennessee, Memphis, Tennessee, Little Rock, Arkansas, Oklahoma City, Oklahoma and Albuquerque, New Mexico. Interstate 45 is located entirely within the state of Texas, connecting the cities of Dallas and Houston. The portion of the Interstate between Houston and Galveston is known to locals as the Gulf Freeway. Due to the expansiveness of the state, different areas of Texas experience distinctly different weather patterns. Texas is broken down into five primary climate regions: Northern Plains, Trans-Pecos Region, Texas Hill Country, Piney Woods, and South Texas. The Northern Plains region of Texas is located in the far north of the state, containing cities such as Amarillo and Wichita Falls. This part of Texas is considered part of the Tornado Alley region of the United States, and is defined as a semi-arid region. The area is prone to drought, and winter nights often see temperatures fall below the freezing mark. Texas sees more tornadoes than any other state in the union, with an average of 139 a year. The Trans-Pecos Region is located in the far west and west-central parts of Texas, containing the city of El Paso. Also known as Big Bend Country, this region contains the Chihuahuan Desert and is the driest part of the state. Texas Hill Country, or central Texas, experiences cool winters and hot summers. This region is famous for its many rivers and hills and often floods in the lower-lying areas. Austin and San Antonio exist in this part of the state. The Piney Woods section of Texas is located in the far east, and experiences more rainfall than any other region because of humid air currents from the Gulf of Mexico. Because of its humid climate, eastern Texas is prone to severe thunderstorms and tornadoes, especially in the springtime. Hurricanes also strike this region during hurricane season in the late summer. Many of the major cities of Texas exist in this region, including Dallas, Fort Worth, Galveston, and Houston. South Texas is considered the southern most tip of the American Great Plains region, with rainfall similar to the Northen Plains. Areas on the coast are warm most of the year because of currents from the Gulf, and rain there is more abundant than inland. Corpus Christi and Laredo are located in this region. Wichita Falls and Lawton accidents. 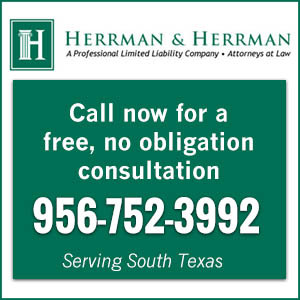 If you or a loved one has been hurt or killed in a motor vehicle accident in Texas, it is essential to get legal assistance to cover the medical bills, lost income, and other costs that arise. 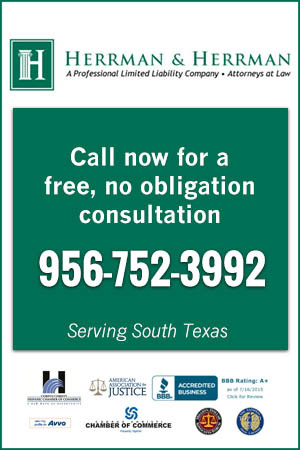 A Texas personal injury attorney will make sure that you and your family are compensated so that you can begin rebuilding your life.